This stir fry has an Italian flair. It is delicious on its own, or used as a side dish with some chicken or fish for some extra protein. You could also pair this with a simple green salad or caesar salad for a more complete meal. 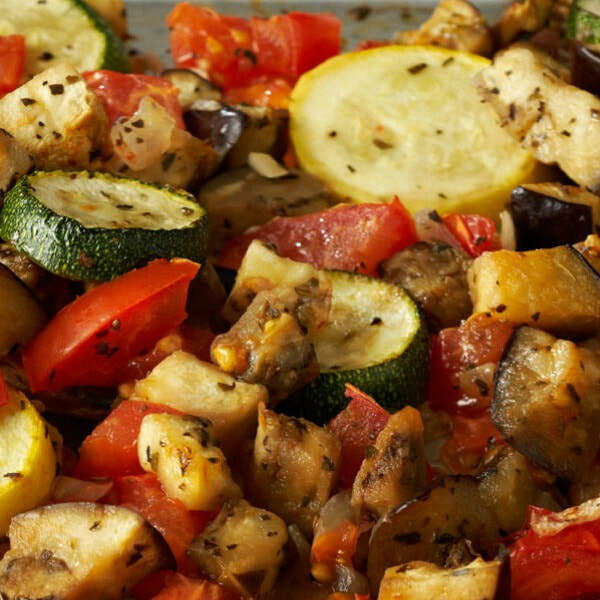 Place eggplant, zucchini, green bell pepper, onions and salad dressing into a skillet.